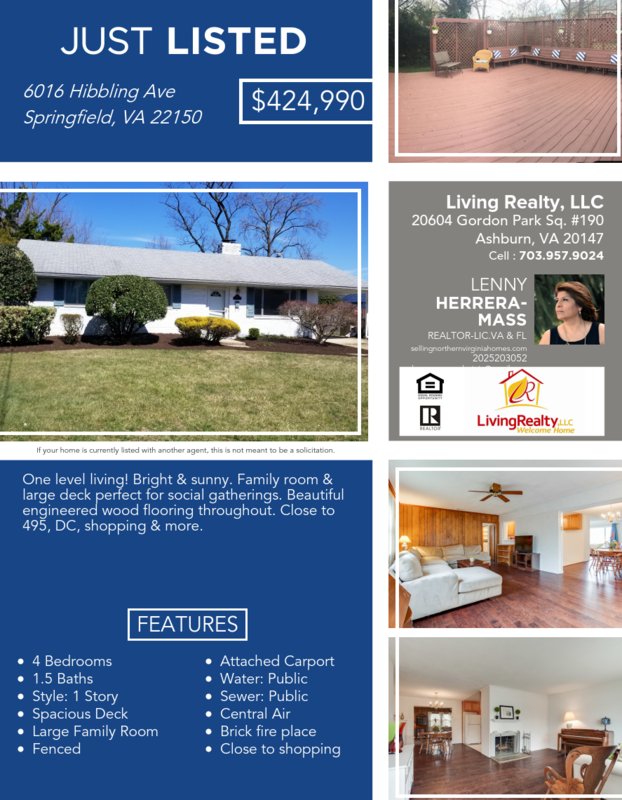 One level living in Springfield, VA! Close to I-95, DC & all major highways in Northern Virginia. 4 bedroom, 1.5 baths in this lovely, spacious rancher. Amazing deck, brick fireplace & beautiful engineered wood flooring. Ready for its new home owners.